We are living in a time of technological advancement and constant change. How do we prepare our children to live in a world of such rapid change when we cannot predict what will happen? What are the skills that prepare our children for this constantly changing world? The answers can be found in this beautiful and powerful video, created by Let It Ripple, that explores the skills we need to flourish in today’s world. Take 11 minutes to watch it – you won’t regret it! What can parents do to nurture the essential qualities of innovators such as initiative, curiosity, imagination, creativity and collaborative skills? How do we get children interested? What Intrinsically Motivates Your Child? Create a physical space for creativity – see our Creative Spaces page for inspiration. Join the ‘Book of Ideas’ Project with you child and share in the celebration of your ideas and explorations together! Creativity is a skill that can be developed. How? You ask? Start when they are young and through both mindful interactions with children and deliberate activities, creativity will become a practice. Be mindful of the creative climate in your environment. Are kids given freedom to explore? Or are they afraid to fail? Visit our Creative Spaces – Climate Inspiration page for more ideas. Visit our Creative Activities Inspiration page to find creative activities that promote the development of creativity skills. Be sure to check back often as new activities are added often! What are all the ways to develop a creative mindset in our children? 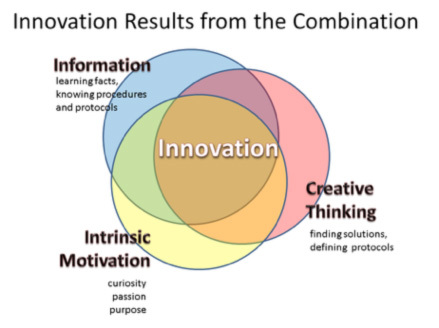 How might we provide opportunities to practice the higher order thinking skills associated with creative thinking? What are the affective (or feeling) skills key to building creativity? In this fun and hands-on workshop we will play with ideas around how to build creative thinking and feeling learning experiences for our kids at home. Inquire at the Contact page for more information about this workshop. What are all the ways to use Creative Problem Solving in our homes? How can we apply this powerful process and it’s tools within our every day family lives? This workshop discusses how we might shift our attitudes towards problems within our homes and instead re-frame them into challenges to be solved together. BE AWARE. BE INSPIRED. BE CREATIVE.